The Invigorating Blue Orchid scent makes up just one part of the new floral Bath & Body Collection from Yardley London, also in the collection are Uplifting Daisy and Energising Peony scents. Each bath and body range consists of a body wash, body lotion and hand cream. All feature bright, modern floral packaging and are great value. Described as a fruity floral this contains top notes of fresh green leaves, a heart of peony flower, redcurrant, geranium and helitrope with a base note of warm amber... the result is a fresh but sweet floral fragrance that is very appealing. Containing vitamin E this is a rich and creamy body wash that leaves skin feeling super smooth, beautifully soft with a gorgeous light fragrance to boot. A pamper experience that belies its price. Another beautiful scent, Yardley London have captured modern florals and packaged them into skincare products brilliantly. Daisy is a fresh floral that bursts with fresh green leaves and apple, with a floral heart of hyacinth and white rose blended with base notes of warm sandalwood and musk. This body lotion instantly melts into the skin leaving no greasy residue but just soft, wonderful smelling skin. Contains Q10, vitamin E, shea butter and sweet almond oil. 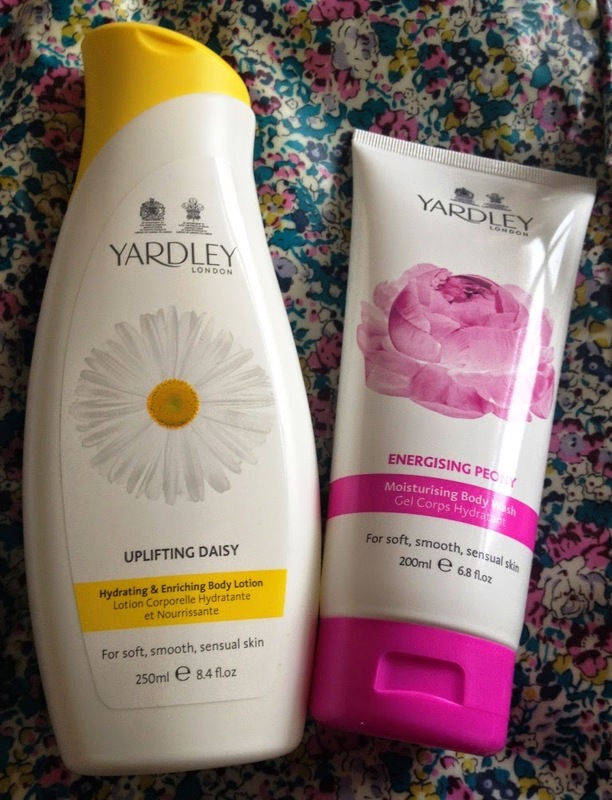 For great floral scents and affordable value bath and body products look no further than the new floral Bath & Body Collection from Yardley London.